My reason for writing the book (and starting the JEI) have proven correct: Institutional investors, specifically asset owners, needed (and still need) help understanding the risks and opportunities associated with climate change. I was early to the trade: When I was writing the book, there was a growing optimism that civil society, with the strong participation and support of asset owners, would act to reduce greenhouse gas (GHG) emissions. President Obama was beginning his first term and had made clear statements that he would act to stem GHG emissions. His appointment of Steven Chu, Carol Browner, John Holdren, Jane Lubchenco, and others signaled the strength of his intention. We were heading into COP15 with momentum. But exogenous factors, especially the financial crisis of 2008 and the ensuing economic collapse, the recalcitrant Republican opposition to climate change, the war of terrorism, and the failure of COP15 soon derailed meaningful actions. So I was right, early and late, all at the same time. Anthropogenic greenhouse gas emissions have increased since the pre-industrial era, driven largely by economic and population growth, and are now higher than ever. This has led to atmospheric concentrations of carbon dioxide, methane, and nitrous oxide that are unprecedented in at least the last 800,000 years. Their effects, together with those of other anthropogenic drivers, have been detected throughout the climate system and are extremely likely to have been the dominant cause of the observed warming since the mid-20th century. Specifically, asset owners should recognize that carbon emissions are embedded throughout their portfolios and pose a material risk to the performance of the underlying assets. They should understand their exposure to carbon, quantify the associated risks, and manage this risk, just as they would manage other systemic, materials risks. Such action is clearly in line with their fiduciary duty. Asset owners should also recognize that there are bona fide climate-related investment opportunities, investments that can present robust returns-per-unit-of-risk and orthogonal exposures. I am not suggesting asset owners engage in some type of grave dancing but, rather, that the dire circumstances we face require the development of technologies to mitigate greenhouse gas emissions and allow us to adapt to the consequences of changes in climate. There is simply no way governments and NGOs can provide the capital necessary to develop and deploy the needed technologies at scale and scope. Investment from asset owners is required—but these investments should only be made if they meet their investment and risk targets and policies are firmly in place to support such investment decisions. Beneficial investing is a fiduciary, not philanthropic, activity. So while my assessment might sound a bit bleak, I remain hopeful that the combination of collective political will and the collaboration of various stakeholders, including the active engagement of asset owners, will lead to a global solutions network that will enable us to avert the most devastating of consequences to physical and human systems. Regardless of whether my hope is fulfilled, you can continue to count on the JEI as a clearinghouse of valuable, sound information on all aspects of environmental investing. In closing, I want to thank the contributors to this issue for their thoughtful essays. I also must express my heartfelt gratitude to BE Bio Energy Group AG, our steadfast sponsor for the past five years. 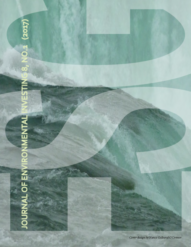 Their unwavering support of the JEI has allowed us to explore our own editorial vision, engender critical discourse of all aspects of environmental investing, and provide readers with open access to our content. Readers might not know this firm but BE Bio Energy was an early actor in environmental investing and continues to contribute to the reduction of GHG emissions. *Environmental Alpha: Institutional Investors and Climate Change, edited by Angelo Calvello. Hoboken, New Jersey: John Wiley and Sons, Inc. 2010.